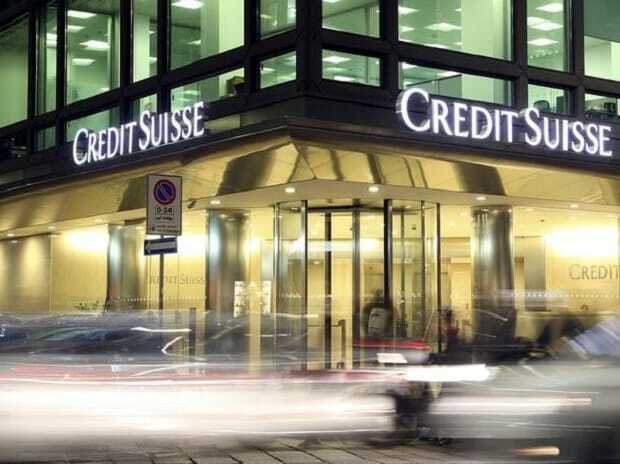 Global financial service provider Credit Suisse seeks to change Indian operations from service delivery centres to technology leadership centres with the launch of their smart facility in Pune. Credit Suisse announced its expansion to a new, smart working facility in the 44-acre EON Free Zone campus within the Special Economic Zone in Kharadi, Pune this week, as part of its strategy to establish India as a centre for technology innovation for the bank globally. “We're giving more accountability to the teams here so that increasingly the decision makers for many IT services and solutions that we deliver to the bank globally will be based in India. In addition, we partner with top academic institutions such as COEP in Pune and BITS Pilani among others to develop future local IT talent with domain-specific skills," said Burns. However, a primary focus will still remain on lateral hiring and experienced talent to drive these operations, said the management. Credit Suisse has approximately 14,000 staff in India, which includes a mix of in-house employees and vendors, across multiple centres, primarily in Pune and Mumbai, the majority of which provide various corporate function services with a focus on technology to the bank globally. Of the total staff, approximately 5,000 are in-house employees, of which around one-third are in IT roles. "Our investment in the EON II facility highlights our continued commitment to India and our vision of establishing the country – and particularly Pune and Maharashtra – as a premier technological hub supporting our ability to serve the corporate and personal needs of our clients across our businesses globally," said Mihir Doshi, Chief Executive Officer, Credit Suisse India. The state-of-the-art office, called EON II, will co-exist with the present workspace in EON I. From EON II, teams will lead the development and roll-out of cutting-edge technology and innovative methodologies, such as Agile, Cloud Computing, Machine Learning and Robotics, to support Credit Suisse’s global business operations. “When we established our first office here in Pune back in 2007, like many other companies we considered it a service delivery centre; but with the increasing importance of technology for the bank, we recognized that there's so much more that could be done from India given its large pool of skilled technology talent,” said John Burns, Head of India IT and Senior Franchise Officer, Credit Suisse Pune. Earlier, while the execution was done from Indian centres, the decision making happened in the global offices so Credit Suisse developed a strategy to harness the Indian talent base and this centre is the first step towards that goal, said the management. The bank’s India IT strategy leverages the large pool of skilled technology talent available locally and is focused on enhancing local leadership capabilities along with basing global roles in India that have accountability and ownership for end-to-end delivery of IT solutions and services to the bank’s businesses around the world. Around 10% of the global senior IT roles at Credit Suisse are currently based in India. This is the second largest smart working space for Credit Suisse globally. EON II spans approximately 450,000 square feet that facilitate closer collaboration across teams and functional areas. The design of the facility was inspired by the concept of “seasons” to reflect transformation and growth in a dynamic environment. EON II has achieved certification from Leadership in Energy and Environmental Design (LEED), an international hallmark of excellence that recognizes the highest standards of sustainable, green-compliant buildings.